The Australian Securities and investments commissions warned the public to be wary of cold callers claiming to represent ASIC. Reports of been made that calls from offshore with claims that they can assist in recovering funds lost and quote an Australian Business Number or software Microsoft are scammers . 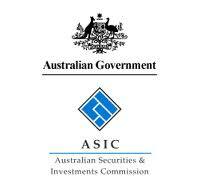 The Australian Securities and investments commissions reports that the scammers have taken almost $ 1 million from investors claiming they represent ASIC. The Australian Securities and investments commission warns the public that their fraud is increasing. The scam is appeared to be an attempt to get people to provide their personal information by filling out forms, access their computers, paying advance fees for their services, providing banking details as part of the process or get people to pay money directly to the scammers. The Public has been warned to get rid of any form of contact connecting them to the fraudsters such as email, hang up on their calls when they call claiming to represent ASIC. ASIC has stated they do not request for personal details over the phone or email and do suggest if anyone thinks they may have been a victim of the scam or think their accounts may have been tampered with are advised to contact their banks or financial institution immediately . According to the Australian Securities Investments Commission, the scammers running the unlicensed and fraudulent business have been running the scam between last year May and October.